The beanbag genetics controversy can be traced from the dispute between Fisher and Wright, through Mayr's influential promotion of the issue, to the contemporary units of selection debate. It centers on the claim that genic models of natural selection break down in the face of epistatic interactions among genes during phenotypic development. This claim is explored from both a conceptual and a quantitative point of view, and is shown to be defective on both counts. 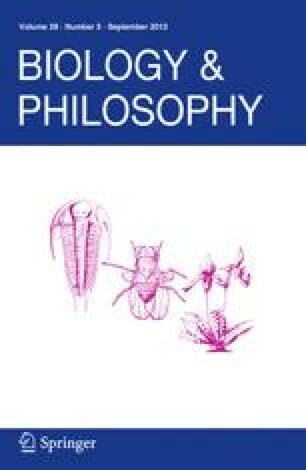 Firstly, an analysis of the controversy's theoretical origins demonstrates that this claim derives from a misinterpretation of the conceptual foundations of Fisher's genetical theory of natural selection, and confounds his fundamentally different concepts of the average excess and average effect of a gene. Secondly, an extension of the genic approach is proposed which models the dynamics of selection among epistatically interacting complexes of many genes. Paradoxically, this preliminary, but fundamentally genic model provides quantitative support for some controversial qualitative claims regarding the evolutionary consequences of strong gene interactions made by opponents of genic selectionism, including Mayr's theory of peripartric speciation. These findings foster hope that the proposed approach may eventually nudge the beanbag controversy out of its conceptual trenches into a more empirically oriented dialogue.